Hi all. After 7 years in development and lots of ups and downs I am proud to release my campaign, Return of the Exile. I hope you’ll have fun playing it, if you choose to do so . There have been complications with the vault upload. So for the moment, nexus it is. I will keep trying to upload here as well though. Probably at least a week before I can look at this but I’m already anticipating a cool new experience. Hey, thanks. It’s a good feeling for sure . Can’t wait to hear your thoughts if you decide to give it a shot. Congratulations on the module will start playing it as soon as I finish what is on my plate. Congratultations again on finally pushing this out the the door. I am downloading now. No worries if you don’t know off hand, and certainly don’t waste any real time finding an answer, but your description mentions some feats being removed. Do you happen to know what these are? Anything a stock level 1 character might have ended up with? Just making sure grabbing one of my pregenerated characters won’t cause problems. Also, how important are conversation skills? It may impact what class I use. Hi quixal, thanks . About the feats, that’s a mistake. I meant classes. The description is now fixed. The classes removed are Divine Champion and Neverwinter Nine. 7 years in development? Then this is a must try, can’t wait to see what’s in store! Just wondering, why are Divine Champion and Neverwinter Nine classes removed? For spoiler plot reasons, balancing reasons etc? Hi BowShatter. 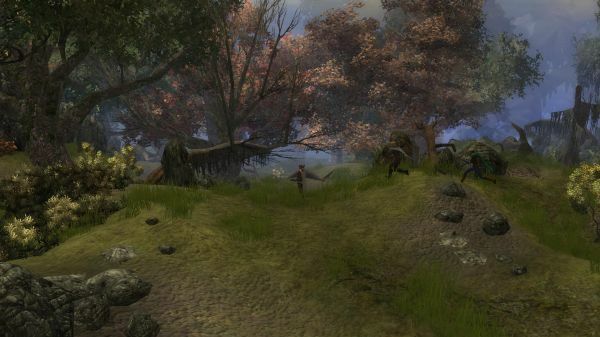 Neverwinter Nine was excluded because this campaign takes place in a custom world where neverwinter is not a city. I excluded it shortly before release and then I realised that if I do that, I would have to exclude the shadow thief, scholar of candlekeep etc as well. Which I didn’t. Then I wanted to release it and Neverwinter Nine got left out. Perhaps I will re-include the class on the next update. Divine champion is out due to a plot reason related to a companion which I will not spoil . if you are still interested I can send you a pm. Thanks for wanting to check the campaign out . Great job in putting this together, andysys. Nice work and thanks for releasing it! Thanks for the info. I’ll find out about the plot reason myself by playing it. I want to enjoy it going in blind. Probably gonna play as a Bard or Cleric multiclass as I always do. Thanks rjshae. Wouldn’t be possible without all you people. Thanks for all the hard work on hakpaks and CC . Andysks,. The game crashes when I enter the city and end up in a blood room with evil beings bowing to me. That’s unfortunate. I’ll look into it as soon as possible. So I tried it here and I don’t have a crash. Furthermore, I know at least one more player who had the scene without a crash. I will note it down as an issue and try to recreate it somehow, but until then… I know it sounds stupid, but did you try to load a save and see if it happens again? Any interest in adding the Complete Craftsman mod in here? Or at least, compatibility if people want to use it?